This is a very weird and unsettling maybe romance YA novel, in which the titular 3 white main characters trade narration. Midnight (boy) is hurting as his mother has gone to live in France for an unspecified amount of time, taking his older brother with her. Poppy who is rich, smart, and utterly self-confident, thinks she has Midnight where she wants him – adoring but not adored. But then he meets Wink, one of the plethora of Bell children. Wink is quiet, self-possessed, and obsessed with dark fairy tales. But neither of the girls are quite who they seem, and a prank that goes horribly wrong clicks the lens to a new place. I have to say that this is not really my cup of tea, and I was rather irritated and frustrated by the turns the characters take. But I don’t think that’s a reflection of the novel or the writing, more just my preferences. 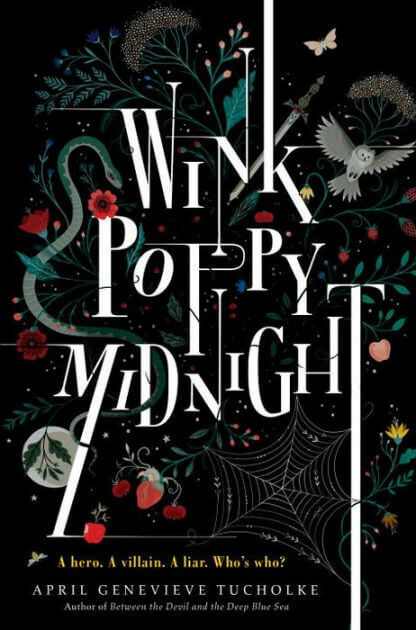 Wink, in particular, is a rather fey character wanting everyone to fit into the archetypes of folklore – Hero, Thief, Villain, Wolf – and it feels like she’s from a different era to the very 21st century Midnight and Poppy. However, the world and atmosphere is stunning and intriguing, and will appeal to readers who like Gothic, spooky tales in which the characters and happenings don’t altogether feel like they’re from this world. Australian novelist Wood returns to the world of her previous novels Wildlife (2014) and Six Impossible Things (2015) in this appealing companion novel that features some of the same characters in supporting roles. The year eleven students of toney Crowthorpe Academy are now back in Melbourne and embarking on their International Baccalaureate. The focus this time is on first generation Vietnamese Australian scholarship student Vân Uoc. For two years, Vân Uoc has been a quiet studious presence that few others have noticed, and she has been nursing a hopeless crush on popular blond-haired Billy Gardiner. But when she makes a wish that he would find her fascinating, it appears that there’s some magic going on, because he apparently suddenly does. Vân Uoc is tortured by the thought that either it’s a joke or a wish-induced interest that’s going to come to an abrupt and/or humiliating end. As with Wild Life, the novel is driven by the finely drawn characters, this time with maybe just a hint of magic. The author thoroughly explores the lives of Vân Uoc’s “hard-working, first generation, barely-English-speaking” immigrant parents, and through Vân Uoc’s writing rants about poverty and prejudice shows her passionate feeling about the cultural divide she finds herself on the wrong side of. Vân Uoc herself is a quietly compelling character who has driven herself to this prestigious scholarship, while at the same time supporting the homework club that made such a difference for her, and using Jane Eyre as a role model of quiet strength and independence. Her friendship with neighbor Jess, who has a similar family background, shows the ease and comfortable happiness she feels when in her element. The characterization of the other students is a mixed bag. The mean girls from Wild Life, particularly Holly “the perfectly formed love child of Smirk and Snarl”, never rise much above being just mean, and they are the downside of Billy’s interest, because it brings Vân Uoc to their attention. Vân Uoc’s friends, Lou and Sibylla, come with their own backstories from the previous novels, but readers without that knowledge may find them pretty thin. Billy himself is an interesting creation: is he a careless and clueless affluent kid, or is he a sensitive and observant love interest? The answer to that helps define this novel as a slice of an ongoing community’s life – he is both. While I found this novel a little less shaped than Wildlife, which had the plot device of a semester at an outdoor education facility to give it structure, I enjoyed being with these characters and their developing selves and relationships. Is it ok for Ms Wood, apparently white, to write from the perspective of a Vietnamese Australian? The review copy has no notes as to any research she did, but I found this interview in which she talks about working at a homework center similar to the one Vân Uoc volunteers in. This feels like a sympathetic and respectful portrayal, and is cuttingly realistic on the situation of a student from an economically challenged background struggling in such an affluent community. For American teens, this is an engaging perspective of an outsider trying to fit in while remaining true to herself and her culture. Thanks to Poppy and Edelweiss for the digital review copy. I have really enjoyed The Mark of the Thief series, and quite liked, though not as much as many did, the historical fiction A Night Divided. 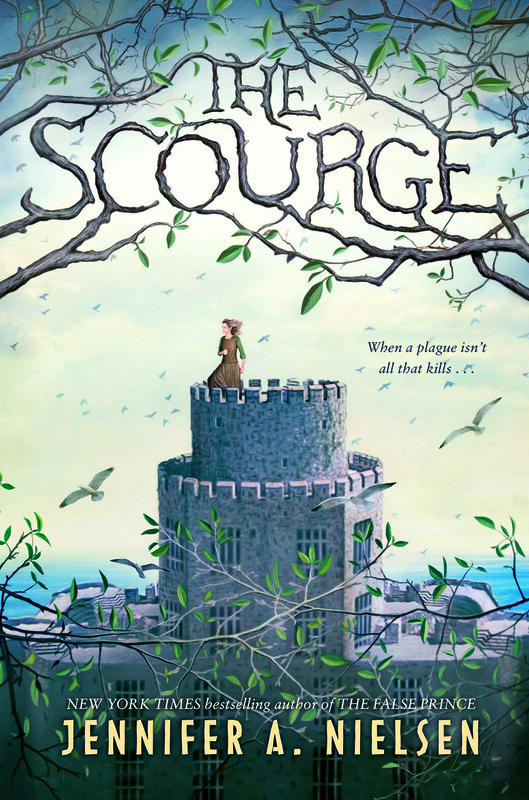 But my favorite JAN by far is The False Prince, and I’m excited to say that The Scourge is almost as good in some ways and even better in that it’s a one-off!!! Like The False Prince, the setting is an imaginary country in a sort of 16th/17th century. This time, the country is Keldan, with the population acrimoniously divided into town dwellers and the River People. The country is being ravaged by the Scourge, an incurable plague, which has so far only hit the towns. But when River People Ani and Weevil are picked up to be tested, it’s discovered that they are both infected and they are sent to Attic Island – a colony for Scourge sufferers that nobody ever leaves. Ani is our narrator and is a typically feisty Nielsen protagonist – one who just can’t keep her mouth closed or her head down. Though not quite a female version of my beloved False Prince Sage/Jarod with his delicious snark and unreliability, it’s good to have a female action hero and one who can lead, as well as just get herself in and out of scrapes. Weevil (terrible name – sounds like a Disney sidekick) is the cooler headed of the two, and is also a love interest. The plot rips along, and though I could see the big twist coming, it was a good one and well-executed. There is a balanced mix of tension and action, and the backdrop of the tension between the two Keldan cultures gives an interesting overlay of social injustice. And did I say it all wraps up in one book? Hooray. The downside is that the support characters don’t really have room to develop, and it would be nice to have seen more of Della, the initially snooty townie sent to the colony with Ani. This is JAN at her peak and I would happily press this into the hands of any middle school reader. Thanks to Scholastic and Edelweiss for the digital review copy. Like All Involved, this is an Alex Award winning book – one that was written for adults but will also appeal to teens. I was absolutely gripped by it from the opening sentence, through a couple of excellent didn’t-see-that-coming-at-all twists, to the gratifying and credible conclusion. 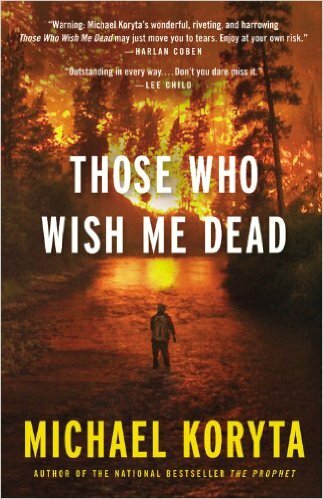 14 year-old Jace Wilson witnesses a murder and is placed in a wilderness program to protect him from the perpetrators. Jace, along with 6 other boys, is led into the wilds of Montana by survival specialist Ethan Serbin, but even there he isn’t safe from the sinister and scary Blackwell brothers. The mountainous backwoods setting, from blizzarding snows to rampaging wildfires, is a huge part of the foreboding atmosphere of this novel. The monumental and uncaring power of Big Nature, contrasts with the will of the people scrambling to survive against it and each other. Jace is a bit of a blank, though his growing confidence in his survival skills is a nice touch. However, the lead really belongs to Ethan, the tough, indefatigable trainer, who won’t stop even when he has apparently run out of options. The Blackwell brothers seem a little bit too omniscient and indestructible, but their repartee is both menacing and entertaining. I romped through Dead in a day on the beach, and it’s perfect for that kind of lightweight, don’t need to read anything too deeply into it, mode; but at the same time the quality of the writing, plotting, and characterization put it a cut above, and make it more than just a guilty pleasure. Being a bit of a purist, I hadn’t intended to read this, but we saw it at a bookstore while we were on holiday and thought we’d give it a go. I’m glad I read it, and though it’s not got the meat of the Canon, it’s really very good, and an entertaining way of spending time. 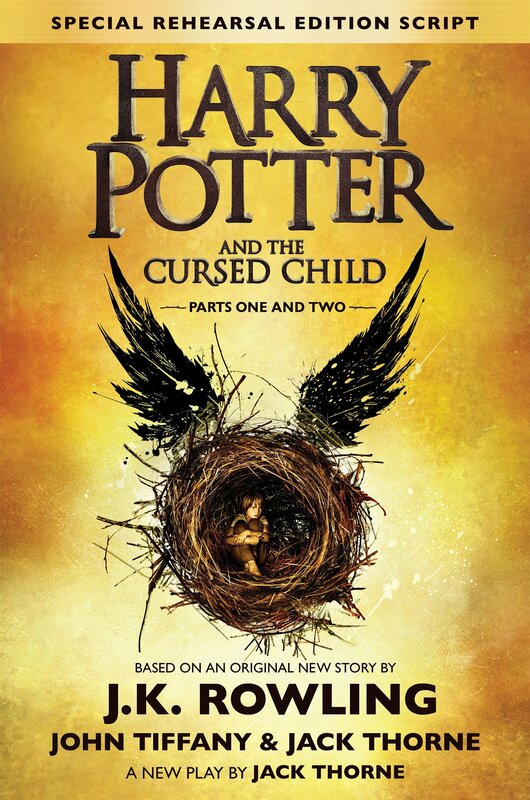 Taking off from the Epilogue in The Deathly Harrows, The Cursed Child is centered on Harry Potter’s middle son, Albus Severus, who is something of a misfit in the Potter family, signaled by the other two kids being named after Harry’s parents. Albus is sorted into Slytherin and, rebelling against the weight of the Potter name, he befriends Scorpius Malfoy who is rumored to actually be the son of Voldemort. A lot of the play is concerned with father-son relationships. As well as Harry and Draco, Amos Diggory appears as a loving father, still grieving over the loss of Cedric. So when Harry, in a fit of pique tells Albus that there are times when he wishes that he wasn’t his son, Albus decides to set right a part of Harry’s past and, along with Scorpius and Delphi, Amos’s niece, uses a stolen time turner to restage the Triwizard tournament so that Cedric doesn’t go into the graveyard with Harry. However, their efforts have unintended consequences. It was good to see Hermione, Ron, and Harry (and their different iterations in the time-changed portions) as well as other familiar characters from the Canon. We have hundreds of pages of backstory on these people and this world, so the playwright is fortunate to be able to shorthand it all. Ms Rowling’s plotting and character creating skills shine, and Albus and Scorpius, and their friendship, are an exciting addition to the Hogwarts realm. But we also have the comfort of being with people we know and love, and even references to scenes from books that are part of our collective psyche. We are, tonally, back in the world of the earlier books – there are only a few glimpses of the darkness and desperation of the much more complex and ambiguous later books. And, unlike Deathly Hallows, there is never any doubt how the play will end, though it does so with some good twists along the way. However, this is a play not a novel, and though the stage directions (which seem remarkably complicated in places) and dialogue drive the story along, there is a lack of depth that comes from not being in any of the characters’ heads. Of course, actors will presumably bring that element, but as I’m not likely to see the play anytime soon, this is all I have to go on. So it’s not really the 8th book, and it’s a play script not a novel, but I was engrossed by the story telling skills of Ms Rowling, the writing of the other two fellows lucky enough to be involved, and the glimpse into the future of a world I thought was finished.